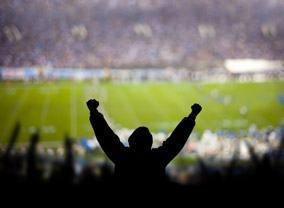 Save time and see more of your favourite teams or sports stars at numerous sporting events. Fly over traffic queues to get to your desired sporting event on time and in style by chartering your very own helicopter for the day. There is no need to ever again miss the start or end of a game or event, even if it goes on longer than expected owing to weather delays, penalty shoot outs or numerous match points. 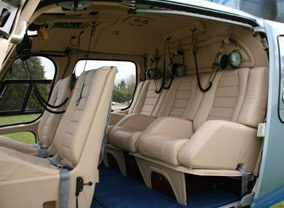 Flexibility is a major advantage of using a helicopter to attend sporting events. You can alter your plans, depending on the team’s performance. If your team gets to the final, or in the unhappy scenario that they are knocked out early in a tournament and you do not wish to stay, you can alter your flight times to accommodate the changing fortunes of the team – so at least you can win with your transport! Save time and see more of your favourite teams or sports stars, by using a helicopter to take advantage of packed sporting calendars and the numerous sporting events. Attend more sporting events, even with today’s time restraints and conflicting demands on your time as a helicopter means less time travelling. Choose where you fly from and the time which is most convenient to you. Enjoy the luxury and magic of your helicopter flight, whether you are a group of motor racing fans, horse racing enthusiasts, golf devotees or football supporters going to sporting events. You will get to your event on time and enjoy the experience of travelling there. Relax knowing that your dedicated flight manager will pay attention to all the details that matter to you on your journey and for the time you are at the venue enjoying different sporting events – unfortunately the one thing they cannot organise is the result! Each year London plays host to many of the UK’s biggest sporting events due to it possessing some of the largest and most spectacular venues in the world. Occasions such as The FA and Carling Cup finals (Wembley), England’s Rugby Union clashes (Twickenham) are alwys popular which is why it is both logical and convenient to exploit our option of flying straight into the centre of London via The London Heliport (formerly known as Battersea Heliport). Flying by helicopter to sporting events benefits everyone: supporters, sponsors, teams and individual athletes as you arrive refreshed and ready to enjoy the competition. 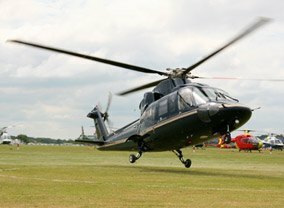 To book or for more information about using helicopters to fly to sporting events, whether you are a spectator, corporate sponsor or a manager of a team, please call us now on 01256 635000.